Derek Derenalagi says he exceeded his expectations and then some after claiming three medals – including double gold – at the inaugural Invictus Games in London, writes Luke Baker. The 39-year-old, who represented Great Britain at the London 2012 Paralympics, won gold in the discus and shot put at the Lee Valley Athletics Centre and also claimed silver in the 100m. The double above the knee amputee also showed the spirit of the Invictus Games by refusing to be overcome in the 200m as he recovered from a nasty fall on the bend to finish sixth. Watford Harrier Derenalagi lost both his legs in an IED blast in July 2007 when serving in Afghanistan and explained how he had been taken aback by the support all of the athletes had received. “I wasn’t expecting to win silver in the 100m at all because I’ve never done a lot of running,” he said. “In the 200m I was inspired to win a medal too but my knee collapsed by the bend but that happens. “In sports sometimes you go down as well and it was unfortunate of me to fall on the bend. But all in all I’m just thankful to be part of the Invictus Games in London. “This kind of event allows the public to appreciate the contribution of our men and women that have fought for the country. The Invictus Games, presented by Jaguar Land Rover and championed by Prince Harry, is an international sporting event for wounded, injured and sick service personnel. 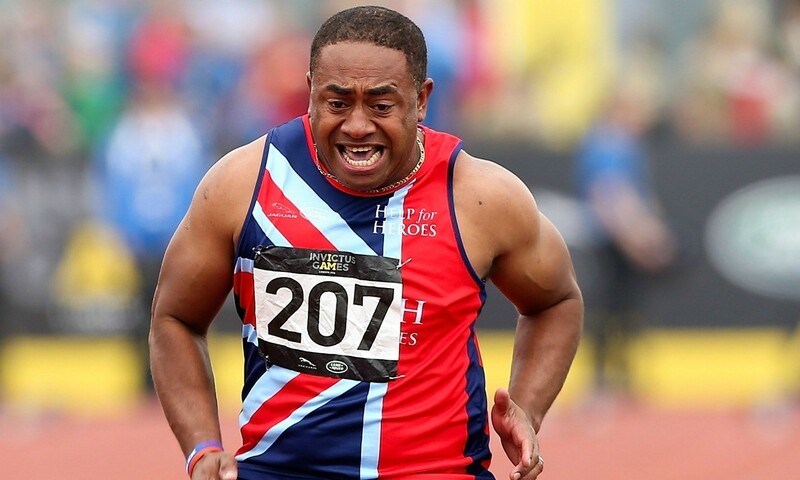 The Games saw more than 400 competitors from 14 nations take part in nine sports across four action-packed days and Derenalagi revealed how he had been inspired by the achievements of his fellow servicemen and women. “The camaraderie that we saw was the same camaraderie that we go through ourselves with the same spirit,” he said. “It doesn’t matter which country you represent, we’ve come together and appreciated each other. “Sport has made a massive difference in getting over injuries, not only physically but mentally as well. I was told that I wouldn’t be able to walk again, let alone run.